My apologies on the long lull with the Isn't She Lovely feature. It's back, and I hope to introduce you to many lovely women in the coming months! Super Power ~ To be able to freeze time while I keep going and getting things done! Good quality shoes. There are some things that I buy the same every time as they grow. Shoes would be one of those things. Merrell Jungle Mocs, Bogs rain boots (not like galoshes, your feet don’t slide around in them), and Timberland closed toed sneaker sole sandals are our favorites. Guided relaxation/meditation CD for bedtime. Earth Mama Angel Baby makes one called "Children's Nighty Night and Nap" that is great. At bedtime we do a few books on tape and then put in one of the meditation CDs and they fall asleep listening. My girls share a room so I needed something to keep their minds on as opposed to playing or bugging each other. When I had Lila none of my friends had kids yet. Renee was someone I knew through church in high school that I reconnected with via Facebook and a blog she was writing at the time. We would have small interactions mostly over the computer, and I quickly learned that Renee was a very smart parent. I actually used to call her my “cloth diapering guru”. She had a way of sharing advice and imparting knowledge that I wasn’t experiencing in my attempts at seeking out help or information as a new mom. When I found out that Renee was a birth doula, without really knowing what that was, I felt certain she must be in the right line of work. As our friendship has grown I’ve learned so many lovely things about her. Renee is a labor doula. This makes her a working mom of a different sort. 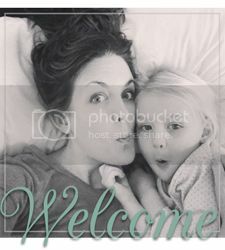 When pregnant with her oldest daughter, Renee took a childbirth series, and it really stuck with her. She continually wanted to know more and more, and she felt her desire for knowledge about the birth process “couldn’t be quenched”. With a new baby and a full time job she began to feel that the path of becoming a doula was meant for her. She decided to jump into pursuing this career, and she went to her first birth when her daughter was nine months old. You may have used a doula in the past or it’s possible you have no clue what a doula does. I personally didn’t know anything about them until recently, and I am continually impressed. When a mom hires a doula like Renee they are inviting someone into a very intimate moment. From the minute she is hired Renee is available for questions, concerns, and overall guidance. Around 34-36 weeks there is a prenatal meeting with her to talk about what the mom envisions for her birth. It’s done that way so that over the course of her pregnancy she can work through the information gathering stage and come to Renee with what she truly wants, what her fears are, and whatever goals she may have. Renee then goes on call for the mom officially at 38 weeks and remains on call until 42 weeks. Now it’s clear why I used the phrase “working mom of a different sort” right? At the 38 week mark Renee is available when the mom says it’s time. Time could mean when contractions start or whenever the mom is ready for Renee to show up. Once Renee arrives she is there as support and guidance along the journey of labor and delivery. It’s a demanding job, but judging from her passion and love for what she does it must be a very rewarding job as well. As Renee and I were talking all I could think about was how this job could possibly fit into a life with two small children. Her immediate response was that they simply make it work. She went into this career knowing she had an amazing support system and back ups for her back ups in place. It’s a little easier now with her kids being in school, but there are still times where the juggling can be difficult. 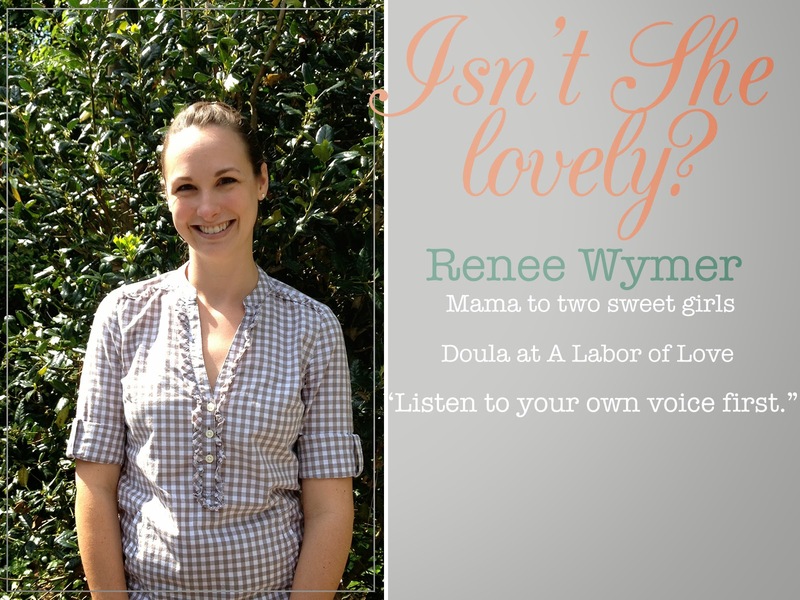 As you can see, Renee is a wise parent who also gets to use that wisdom as a doula. In the world of lifting each other up and appreciating each other’s talents we really need to acknowledge the powerful jobs where women help women for a living. It does take a village. It should take a village. Bravo to Renee for being a part of the circle of support for other moms. Renee is so lovely that she's offering a giveaway today of one of the Earth Mama Angel Baby Children's Nighty Night and Nap CDs. I bought one of these and have used it a few times with Lila in her most recent phase of being scared at bedtime due to bad dreams. It really gives her something else to focus on and she even randomly asks for it now! Leave a comment letting us know why such a CD would helpful for you. The winner will be randomly selected by Wednesday, October 2nd.